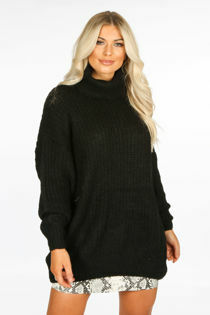 Your winter wardrobe isn't going anywhere just yet so stock up on essentials like the Black Oversized Roll Neck Jumper. 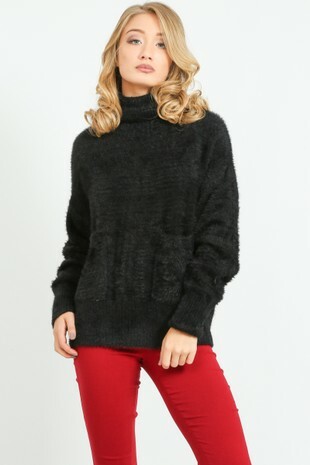 Made from a soft chunky knit, this oversized jumper features long sleeves and a high roll neck. Add some print to your look by wearing this with a snake print mini skirt and heels.